Paul is a very experienced Chartered Physiotherapist, specialising in neuro-musculoskeletal injury, working for both the NHS, as an extended scope practitioner, and within Private Practice. 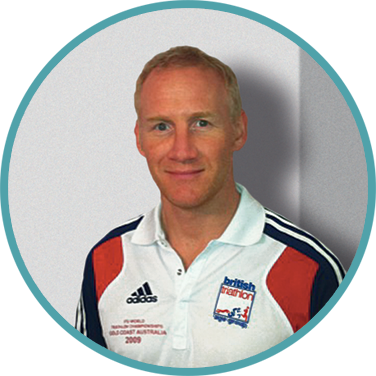 Paul is a qualified member of the highly regarded ‘Musculoskeletal Association of Chartered Physiotherapists (MACP) and has completed his master’s degree in manual therapy at Manchester Metropolitan University. He has undertaken research within the sports and rehabilitation arena and was commissioned by Manchester City Football Club to “Review the evidence regarding the effectiveness of Hyperbaric oxygen therapy in soft tissue injury and delayed onset muscle soreness”. Paul’s focus on treatment is to maximise his patient’s functionality and uses a wide range of mobilization techniques including mobilisation and manipulation of stiff joints, massage and soft tissue release techniques for tight muscles, tendons and fascia, alongside exercise and rehabilitation approaches. Paul competes in triathlons and has represented Great Britain at World and European age group competitions. Knowledge gained through his own personal physiotherapy experience, his own training and competition has given Paul an in depth understanding of the preparation involved and of returning to sport following injury. Working with amateur and professional sportsmen over the years he has developed a keen interest in the diagnosis and management of sports injuries.